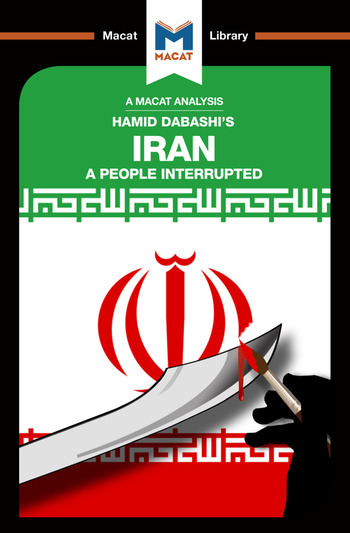 Hamid Dabashi’s 2007 Iran: A People Interrupted is simultaneously subtle, passionate, polarizing and polemical. A concise account of Iranian history from the early 19th-century onward, Dabashi’s book uses his incisive analytical skills as a basis for creating a persuasive argument against the views of Iran that predominate in the West. In Dabashi’s view, Western approaches to Iran have been colored time and time again by the assumption that it is somehow trapped between regressive ‘tradition,’ and progressive ‘modernity.’ The reality, he argues, is quite the opposite: Iran has its own distinctive ideology of modernity, which is nevertheless opposed to many Western ideals. In order to prove his point, Dabashi draws on a lifetime’s experience of literary criticism to analyse the relationship between Iran’s intellectual and political elites over two centuries. His analysis provides the key evidence for his reasoning by teasing out the implicit assumptions that underly the texts and people he examines. Looking beneath the surface of the evidence, Dabashi finds – time and time again – the traces of a uniquely Iranian notion of modernity that is quite at odds with its Western counterpart.